I recently attended a wedding in Amman, Jordan, in the heart of the Middle East, and being the owner of a male grooming business and a men's beauty writer, I subconsciously noticed some interesting grooming trends amongst Arabian men. 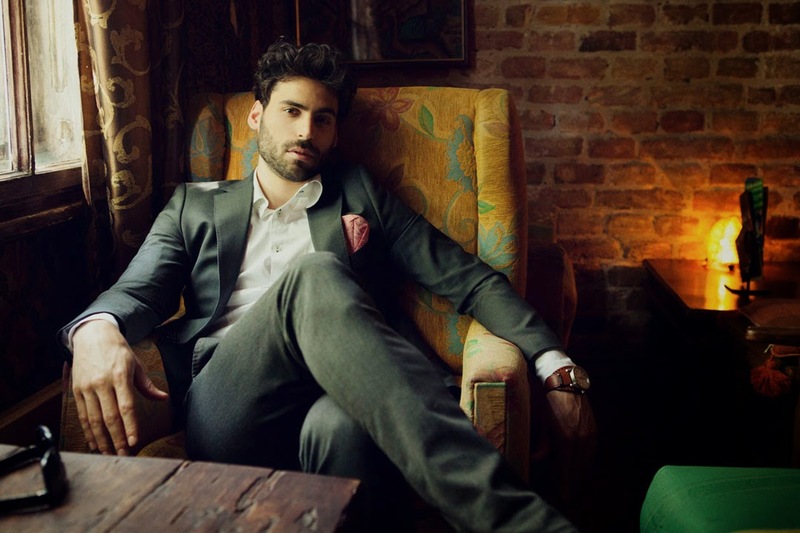 Being half Arabic, I was always aware that Middle Eastern men, like all men from around the world, had their own unique style and grooming trends. But, having been born and raised in a Westernised environment, I was oblivious to the actual scale of the current global grooming trends. "Middle Eastern men are extremely concious about what beauty products they invest in, as they like to trust brands that are proven and established"
The general feeling in the West is that Arabian men don't spend anywhere near as much time on their grooming routine as the European and American's do, but to you'd be surprised just how much pride Middle Eastern men take in their health and appearance. So, here I take a look into how the men's grooming market is steadily on the rise across some major Middle Eastern countries such as Saudi Arabia, Jordan, United Arab Emirates and Lebanon. Style and image is everything in the Middle East. Traditionally in the Middle East, there have been negative attitudes towards products and services in the men's beauty sector, as they have been frowned upon due to the common concept of unnecessary male vanity, coupled with a lacking of masculinity. 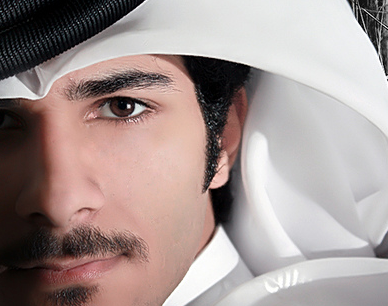 However, as attitudes have evolved, a well groomed appearance has now become an essential part of an Arabian man's image, with the emphasis on career success and social standing. The constant exposure to Westernised television, along with the growing interest in celebrities have played significant parts in encouraging Middle Eastern men to take more interest in their grooming routine and general appearance. 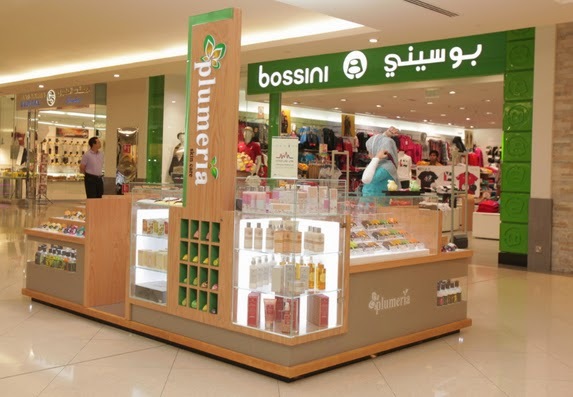 Beauty departments in Middle Eastern shopping malls are gaining popularity. Middle Eastern men are extremely concious of what beauty products they invest in, as they like to trust brands that are proven and established. Well known super brands tend to sell well in Arabian countries, so it's no surprise that Gillette remains one of the leading beauty brands across the Middle East. After speaking to a number of 'well groomed' men on my travels, it was apparent that Arabic men place huge importance on naturally formulated products, whether it may be a skin care cream or a health supplement. Natural products stand more chance of influencing the Middle Eastern market than artificially induced chemical products - this is down to the fact that Arabic men take immense pride in their skin. The men's grooming industry in the Middle East is set to grow further in the future, with the new generation of Arabic men finding it far more socially acceptable to invest in and use beauty products. These young men are likely to prove strongly receptive to advertising by leading global brands, with a growing number adopting a regular men's grooming regime involving men's shaving, men's skin care, men's bath and shower, men's hair care and men's deodorants. "A well groomed appearance has now become an essential part of an Arabian man's image"
The older generation of Middle Eastern men (35+) are far more inclined to invest their hard earned money on specific treatments and remedies such as anti-hair loss formulas and anti-ageing products. While the younger generation are more focused on trying to look like and impersonate their celebrity idols such as football star Cristiano Ronaldo, the older generation are more concerned about keeping their appearance as young and as well groomed as possible. This may also be an effect gained by the influence of older celebrities such as George Clooney turning to treatments and beauty procedures. As far as style goes, Arabian men certainly know how to dress and groom. Skinny suits, tailored shirts and designer shoes were many of the fashionable trends on show during my short stay in Jordan. The Arabic men kept themselves groomed to within an inch of their lives, with tidy short back and side hair styles accompanied with designer beards and flawless skin. If laziness in appearance was a common occurrence in Middle eastern men, then I can assure you this trend has been booted firmly in the past. "The men's beauty industry in Arabian countries is set to grow by up to 70% in the next ten years"
There were a handful of grooming outlets at the hotel I stayed in, offering high standard hair cuts for just £5, along with eyebrow threading, facial treatments and wet shaves. The pharmacies in Jordan were stocked from floor to ceiling with high-end skin care products, shaving devices and hair care essentials - mostly well known brands, with a few local remedies thrown into the mix. There is no doubt about it, men's grooming is most certainly booming in the Middle East, and will continue to do so for years to come. The men's beauty industry in the Middle East is surging so quickly that is it estimated to grow by up to 70% in the next ten years. This tells us a lot about the mindset of Arabic men when it comes to health and beauty. For a unique range of male grooming products and health supplements, check out Your Next Remedy - Unfortunately, due to licensing laws, we don't ship to the Middle East just yet, but European, American, Canadian, Australian and NZ customers are most welcome. What kind of licencing laws are you referring to when talking about shipping goods to the MENA-region?